David Lionel Veal was born in Atlanta, GA on August 20, 1959 and died in Valdez, Alaska on November 5, 2014. He proceeded in death with his father Jacob David Veal and hi brother Michael David Veal. Lionel leaves behind his mother Hazel Evans and three children: Samuel David Veal, Holly Michelle Miller, and Catrina Nicole McClain along with two son-in-laws: Jeremy Wayne Miller and Anthony Jay McClain JR, along with one daughter-in-law: Brittanie Danielle Veal. Also left behind two grand-daughters: Jazlynn Nicole McClain & Callie Payton Roper Veal-Miller, as well as two grand-sons: Anthony Jay McClain III, Noah Issac arson Miller, and one grand-son on the way. Also left behind the mother of his children & former wife Joyce Michelle Veal & mother and father in law: Jack & Joyce Prichard. Lionel leaves behind two sisters: Lourette McPherson & Tonia Hamilton, along with two brothers: James Barry Veal & Rondel Veal. Among many others he left behind are five nephews: Johnathan Summers, Jeremiah Summers, Jacob Plunkett, Bryan Veal, & Mark Veal, As well as two nieces: Julie Summers & Ashleigh Rollins. As A young man Lionel attended Missouri military academy soon after that he graduated high school in Valdez, Alaska in 1978. In 1984 Lionel got married to Joyce Michelle Prichard eventually following the birth of their three children. Lionel had a love like no others for the outdoors. He enjoyed flying planes, Hiking, Fishing, and lots more. Lionel enjoyed more than anything going fishing & watching football with his best friend Jack Prichard. Jack and Lionel became friends back in 1984 and were unrepeatable ever since. Jack & Lionel had a friendship that could never be broken no matter what & they did everything their was to possibly do together and would always help each-other in any possible way that they could. They were and will always be the bestest of friends that anyone could ask for. Healgrief has a memorial to share with you. 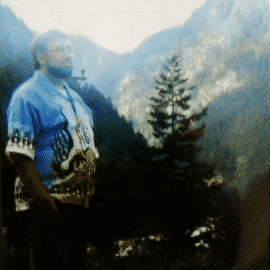 https://healgrief.org/lionel-veal-11052014/ We invite you to express condolences, share special memories and photos and light virtual candles to honor and celebrate the life of our loved one. We also invite you to share this with others who may want to be notified as well. You may do so by sharing the link or by clicking the “Share this Memorial” button from within the memorial itself.